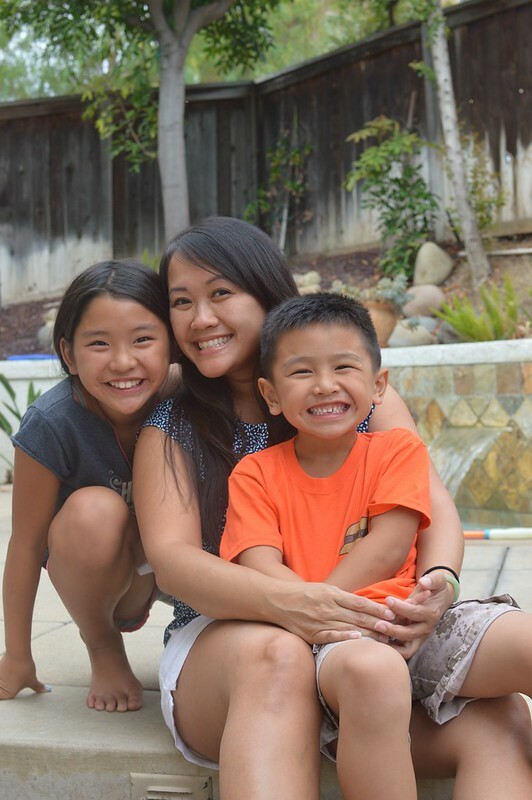 Sunday Family Dinners in the summer are all about dining al fresco. Long days, warm and beautiful weather…it’s perfect. 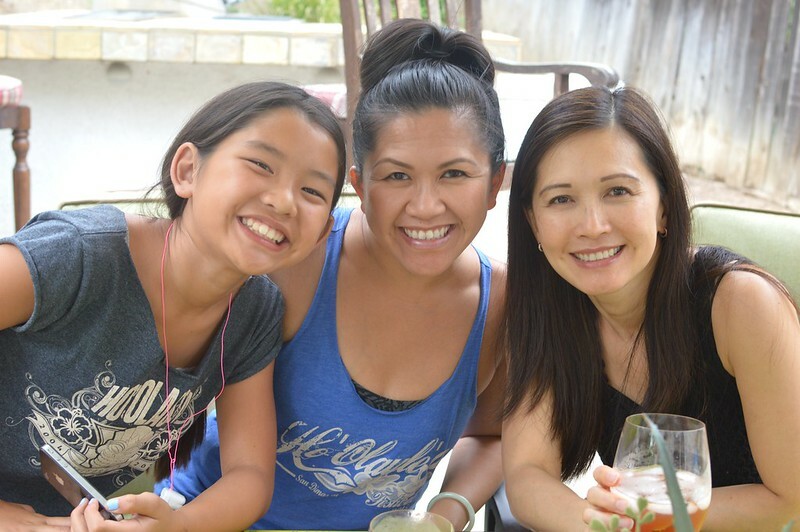 I love summer family dinners where the pace is a little bit slower and we really get the chance to catch up with what’s new with each other. A big topic of conversation at June’s fam din? Seester just got a new set of fantastic patio furniture. And after lounging in the new chairs for a bit, I realized that something was missing. They need a brick pizza oven—STAT! A brilliant idea! Our inspiration for dinner was not so much a “theme” but started off with an idea that the main dish should feature all kinds of skewers. Because who doesn’t love meat on a stick? 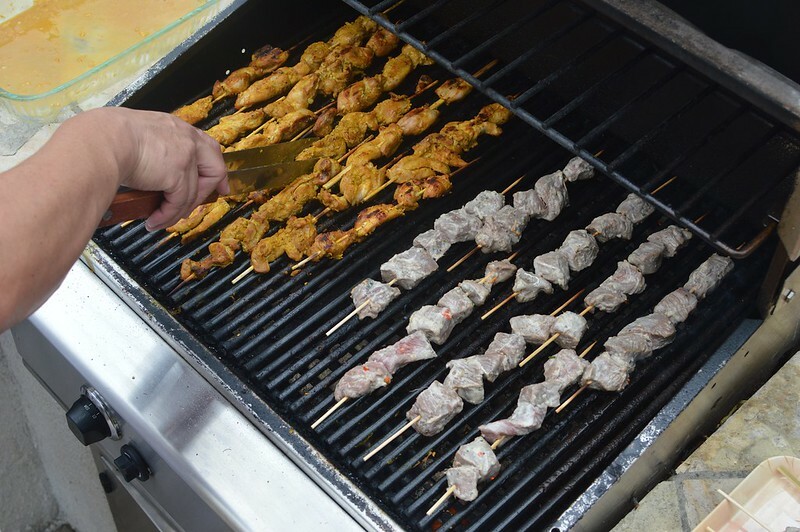 Plus, if there’s grilling involved, the boys get a hand in things. 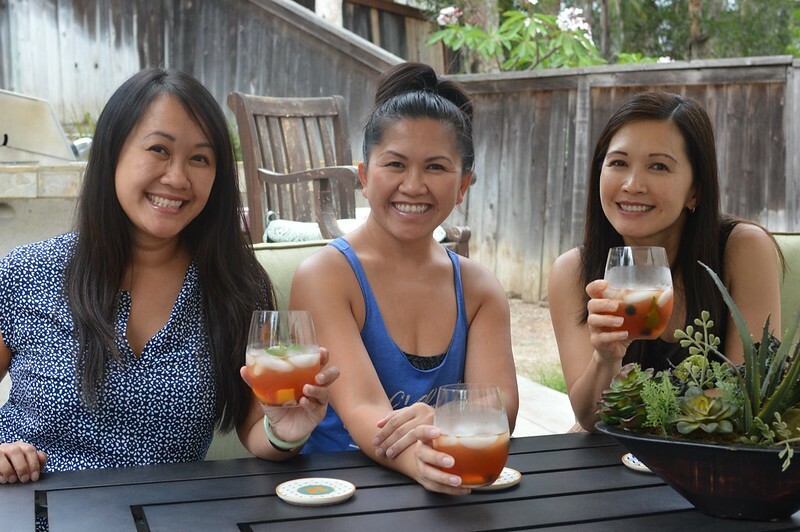 And because y’all know us so well, you know that there were cocktails. In fact, we had a few different types that night (it’s how we roll), but Seester came up with this one after watching an episode of Tiffani Thiessen’s cooking show. 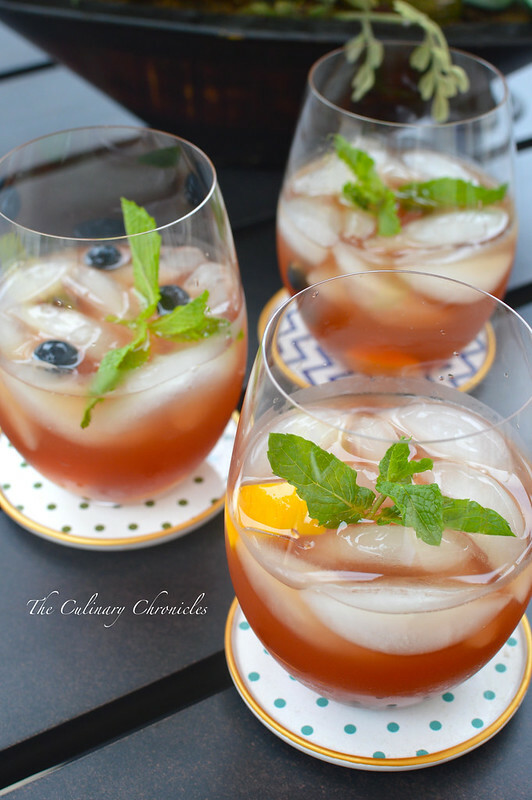 It consisted of an iced fruit tea, ginger simple syrup, lime juice, mint, tequila and fresh fruit. Kelly Kapowski apparently knows cocktails. To munch on before dinner, my niece Nina fried up a batch of Crispy Andouille Hush Puppies. I loved the salty, smokey flavor the andouille gave to the hush puppies. To serve with them, I whipped up a quick sauce from random things I found in the fridge and luckily, it turned out great. Though–I kind of blew it and didn’t jot down what it consisted of but it had things like sour cream, mayo, Old Bay seasoning, lemon juice, fresh dill, garlic and pixie dust. The last ingredient is not optional. 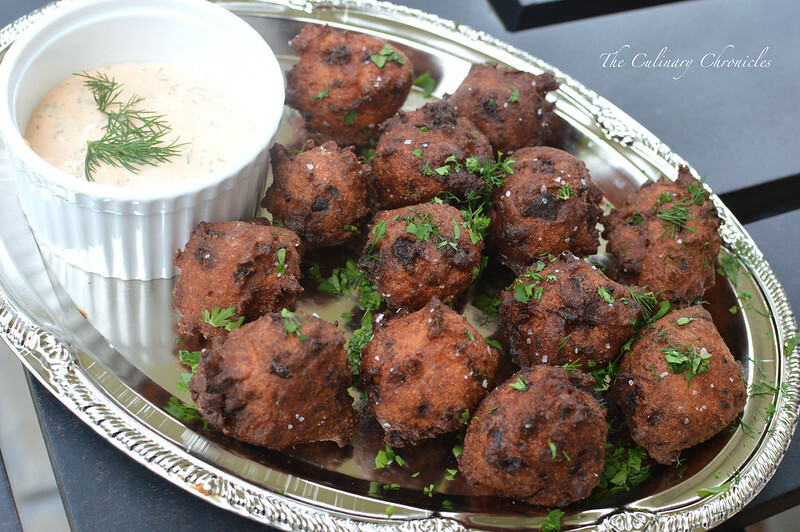 The recipe for the hush puppies can be found at here. Then we put the boys to work! Fire up the grill, Dudes! 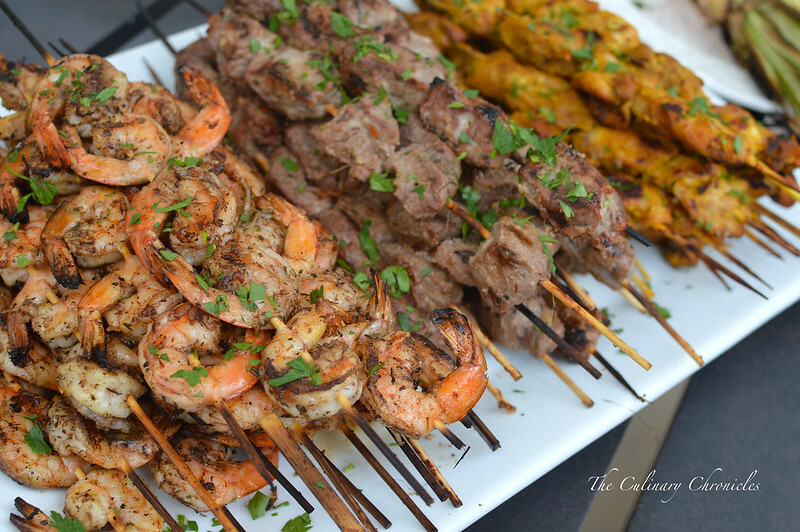 Why three different skewers? Why not?! Plus, we generally have a hard time just choosing one thing. 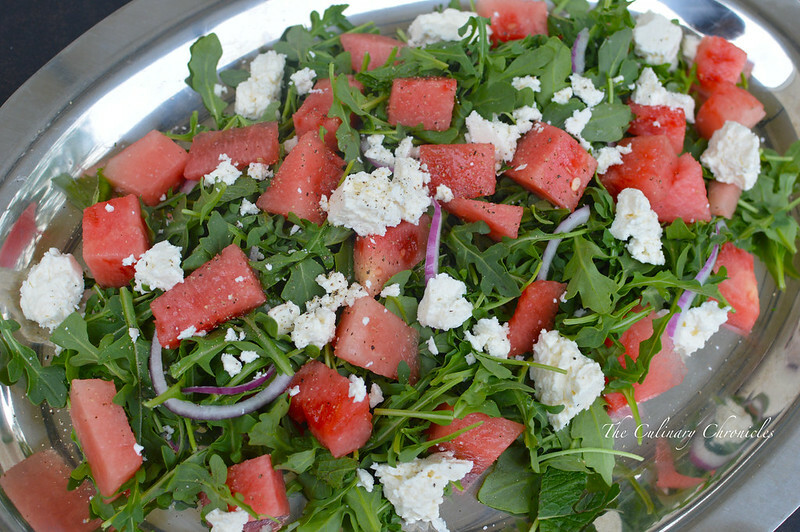 To serve with the skewers, I whipped up a quick Watermelon, Feta and Arugula Salad which is a great accompaniment to any BBQ. It’s fresh, light, and essentially guilt free. Though, I rarely experience guilt with food. 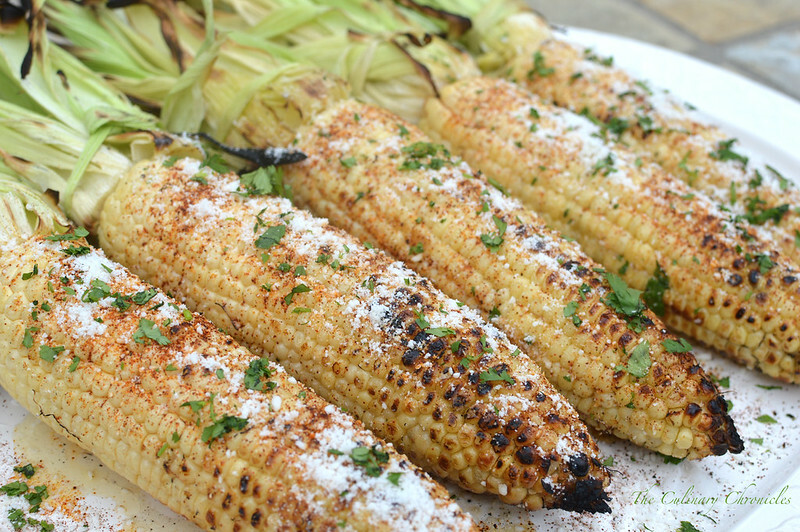 We also made a bunch of Elotes – Mexican style street corn. Super simple to make and you can find out how from a previous post here. 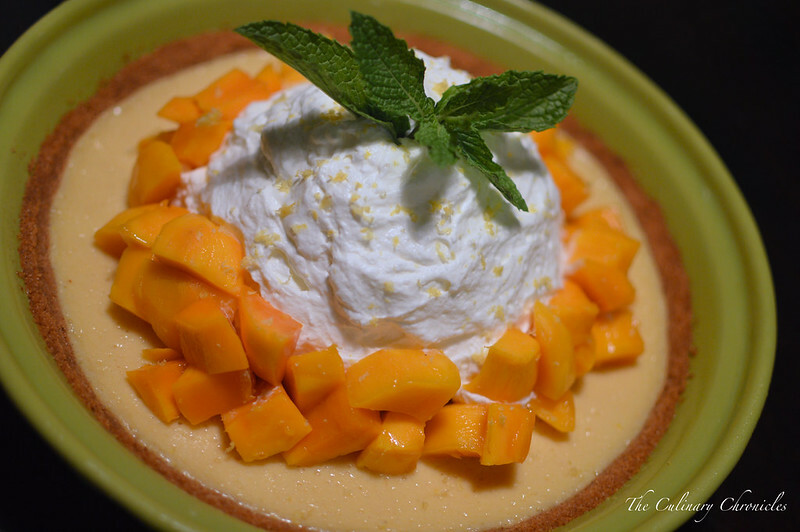 Now, most of us admitted that we underestimated this dessert. Don’t get me wrong–eldest seester can definitely bake but we didn’t really have a good point of reference for an icebox pie. But after one bite, we knew what fools we had been. Used graham instead of saltine crackers for the crust and doubled the amount. 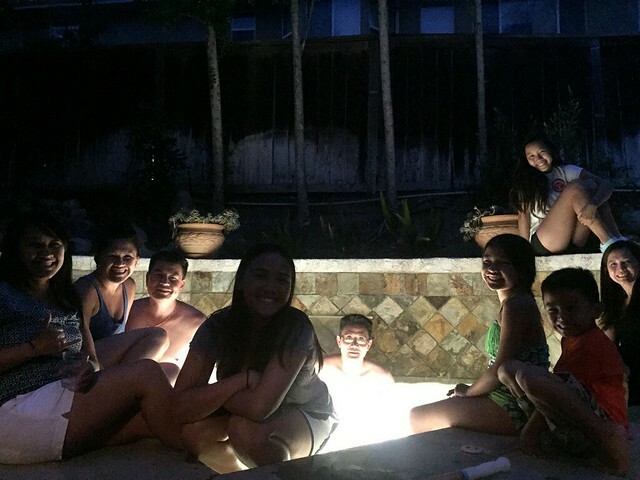 And after all the food was eaten and the dishes were washed–there was nothing else to do but get in some jacuzzi time! Now if that’s not a fitting Summer Fam Din, I don’t know what is. 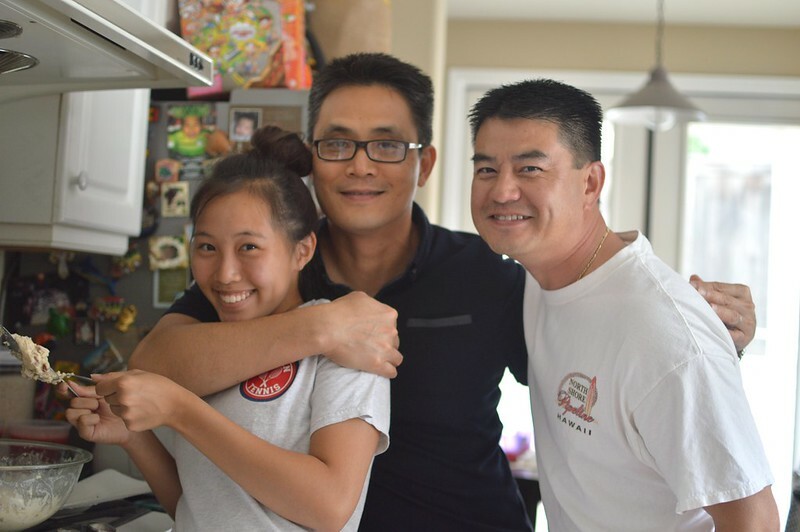 Stay tuned for the wrap up of July’s Family Dinner with all 5 Nguyễn siblings! Fabulous post! I especially enjoyed the addition of pixie dust to the dip! Can’t wait to try these recipes! Love your Sunday dinner posts! 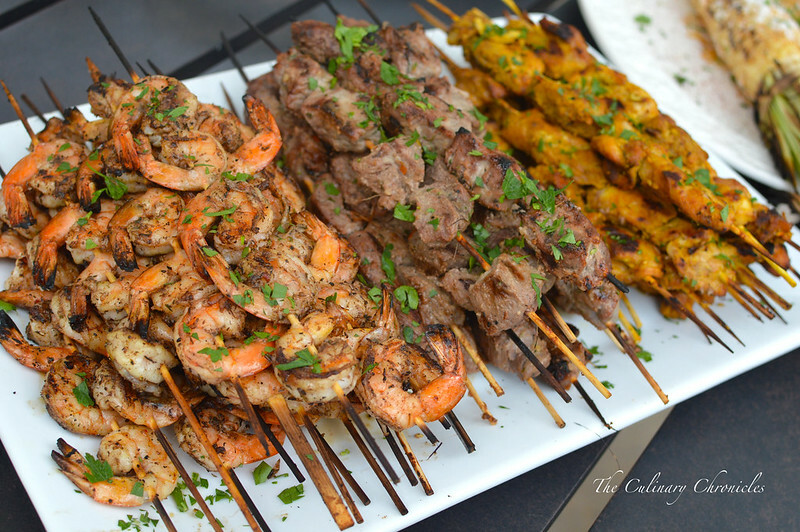 I would want several options for skewers, too 😉 Do you have the the recipe for the rice posted, by any chance? Thanks Connie! You can find a variation of the rice at the link below. However, feel free to skip on the butter and thyme—and top with cilantro. Cheers! 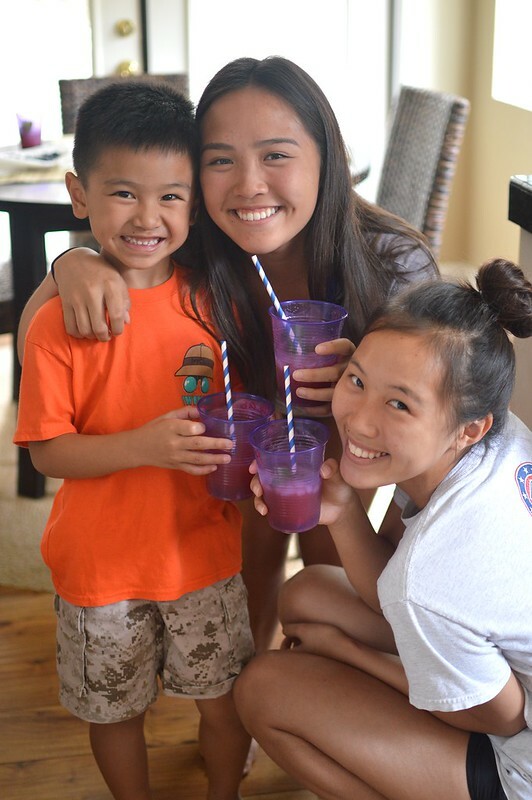 It looks like you all had such a great time with all of the siblings there! 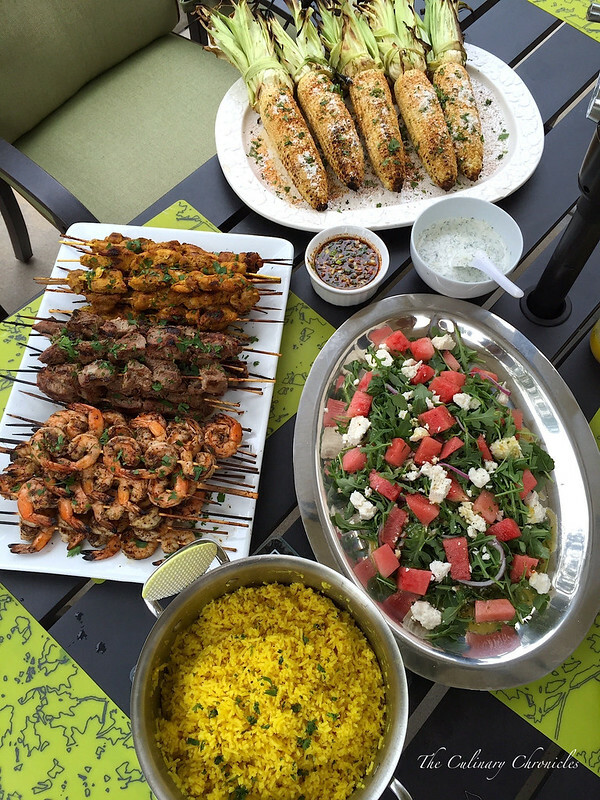 What a perfect family summer dinner! The food looks amazing!